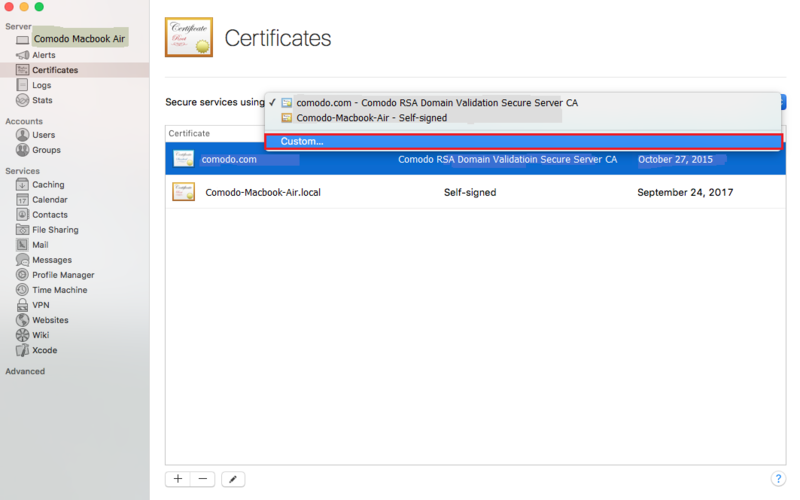 Use these instructions to create your CSR (certificate signing request) and then, to install your intermediate and server (SSL) certificates. 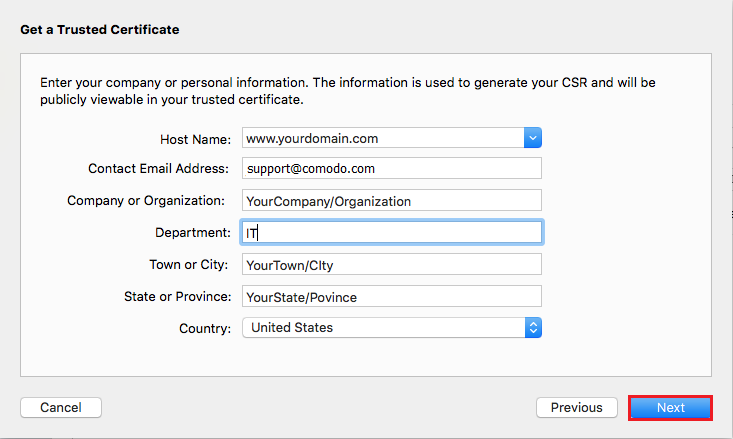 To create your CSR, see Mac OS X El Capitan: Create Your CSR. 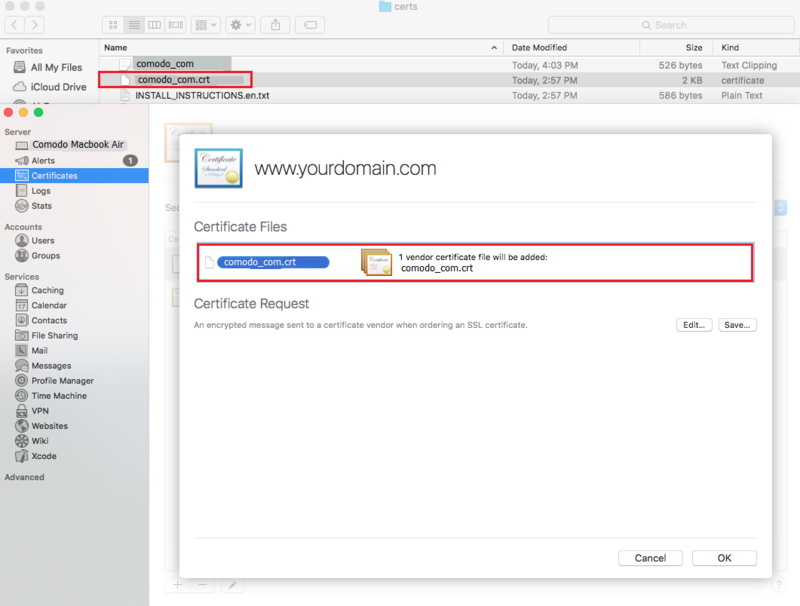 To install your SSL Certificate, see Mac OS X El Capitan: Install Your SSL Certificate. 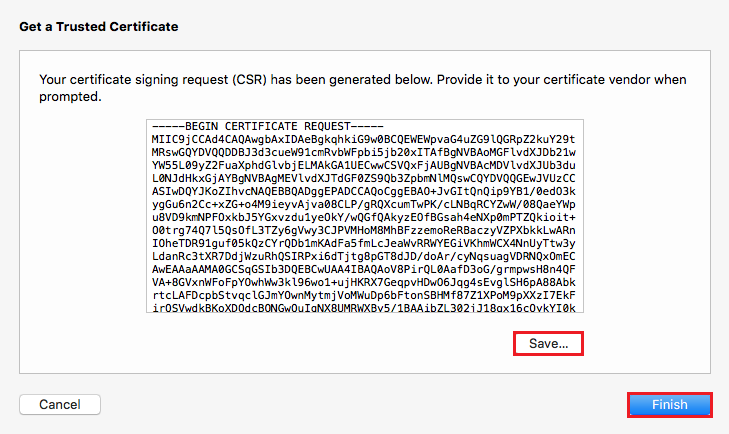 For Yosemite Server (10.10), please see Mac OS X Yosemite: Create CSR & Install SSL Certificate. 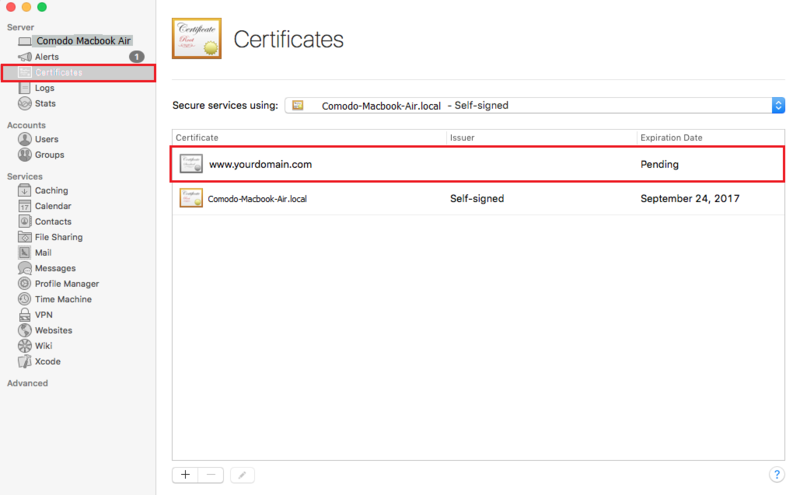 Contact Email Address: Enter an email address at which you can be contacted. 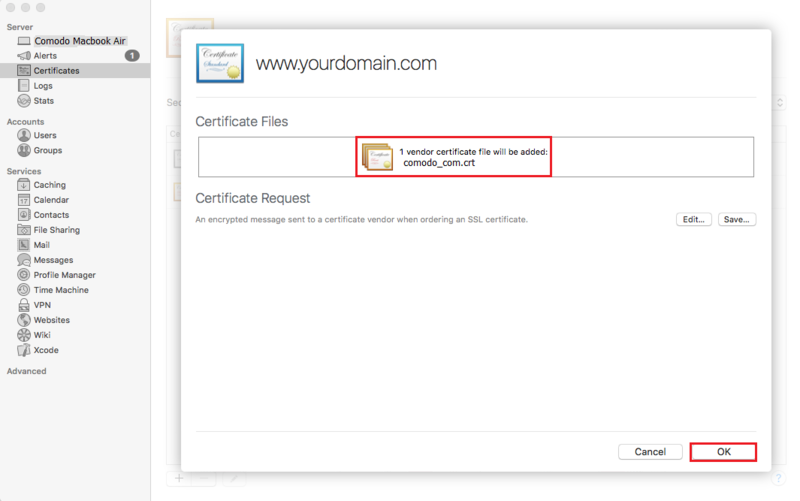 Using a text editor (such as TextEdit, open the file and copy the text, including the -----BEGIN NEW CERTIFICATE REQUEST----- and -----END NEW CERTIFICATE REQUEST----- tags, and enter it into the COMODO order form. 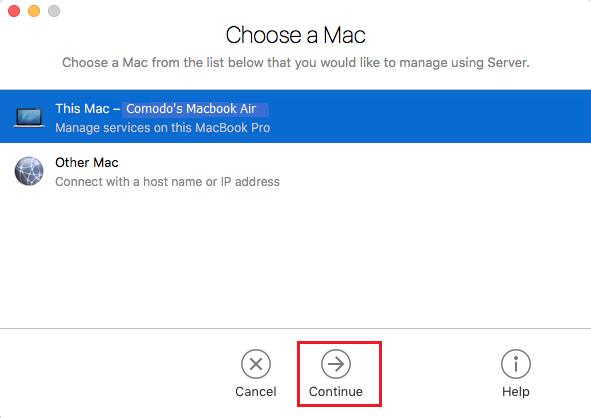 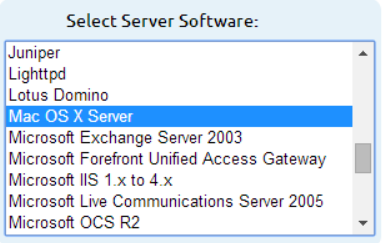 Note: During your COMODO SSL Certificate ordering process, make sure to select Mac OS X Server when asked to Select Server Software. 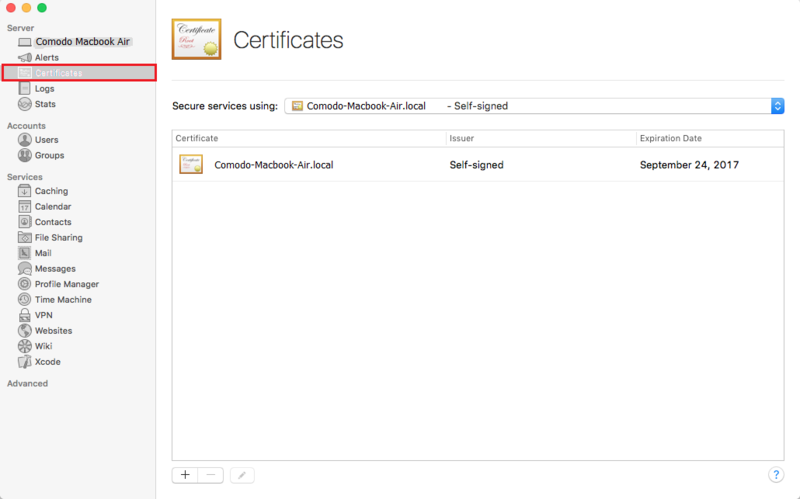 This option ensures that you receive all the required certificates for Mac OS X El Capitan SSL Certificate Installation (Intermediate and Server (SSL) Certificates). 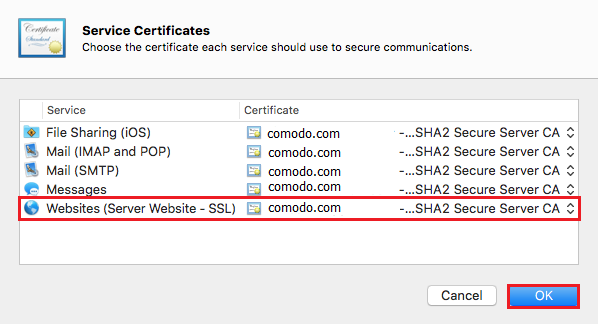 After receiving your SSL Certificate from COMODO, your can install it. 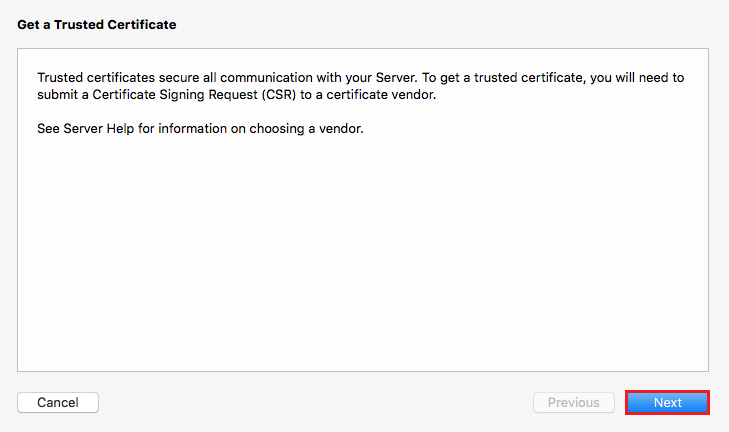 If you haven't created a Certificate Signing Request (CSR) and ordered your certificate, see Mac OS X El Capitan: Create Your CSR. 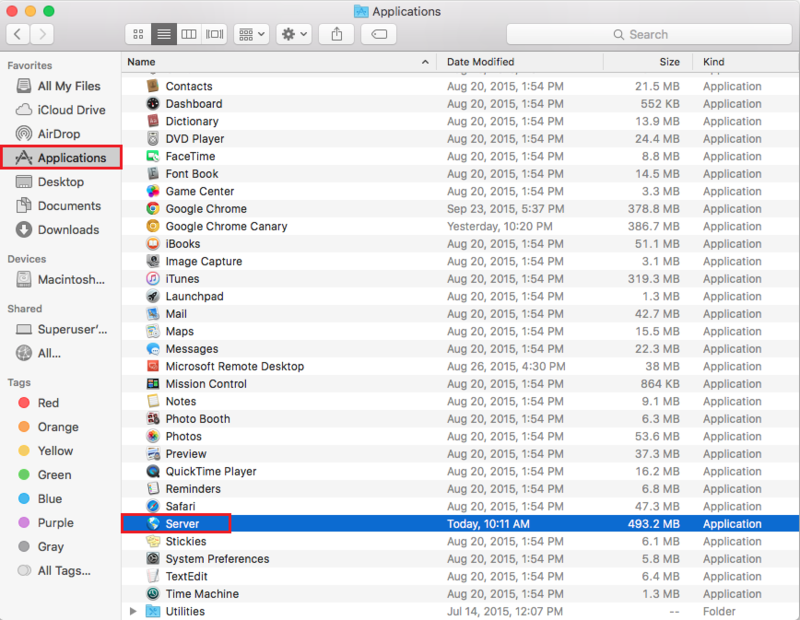 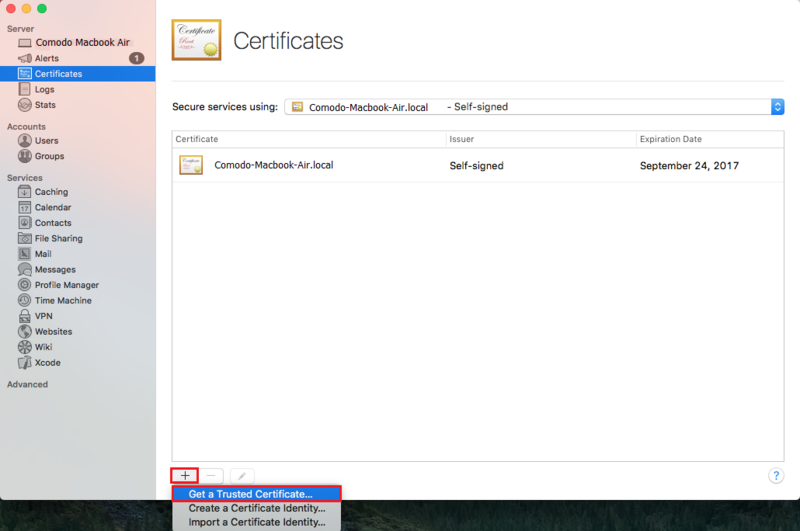 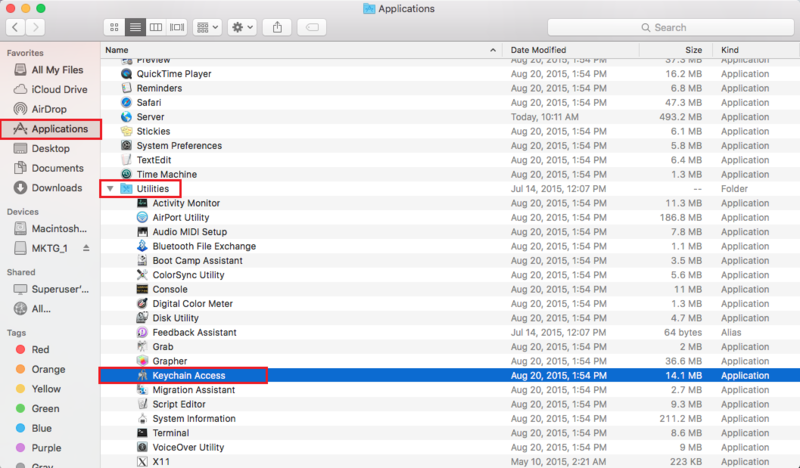 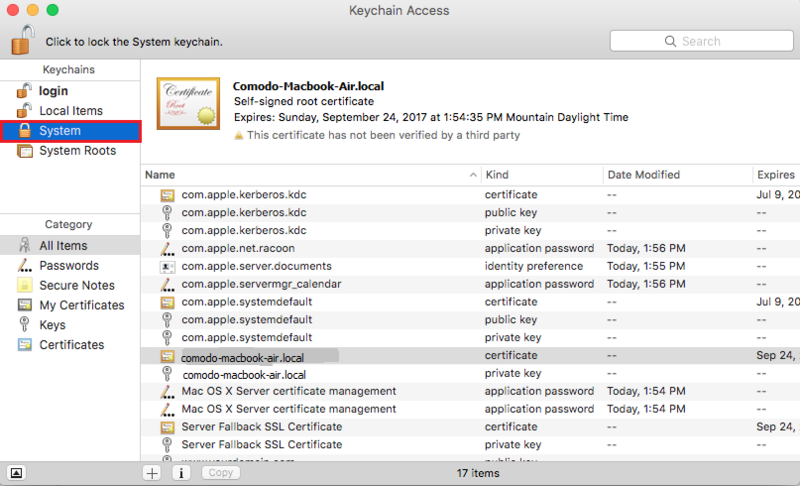 Mac OS X El Capitan: How to Install the Intermediate Certificate. 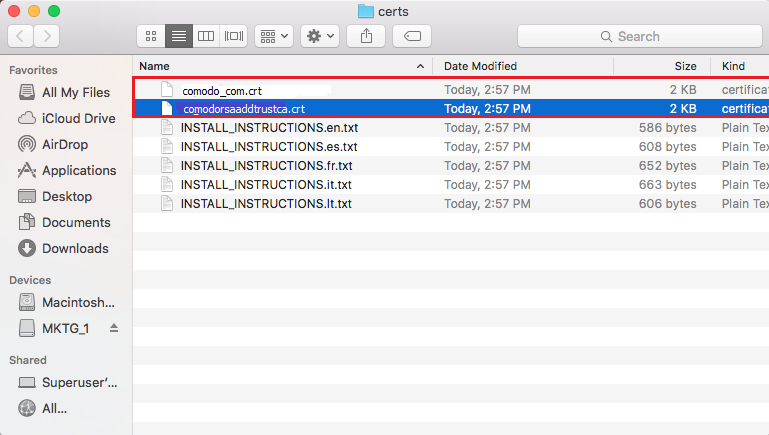 Save the ZIP file your_domain_com.zip onto your server, and extract the SSL Certificate file (your_domain_com.crt) and the COMODO Intermediate Certificate file (COMODOCA.crt) to a folder. 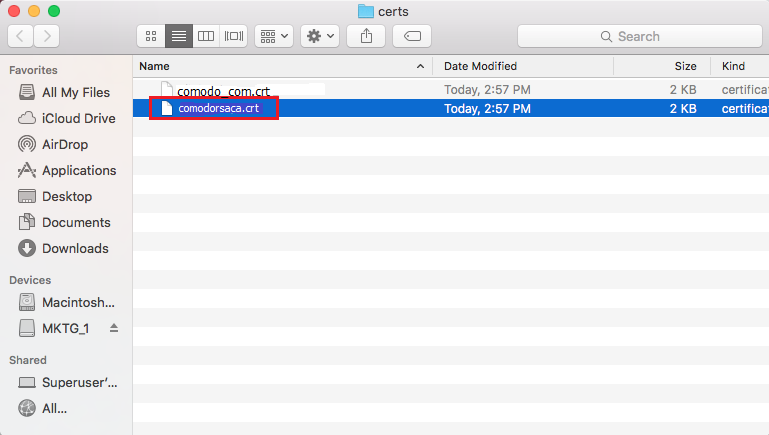 Drag-and-drop the COMODOCA.crt file into the System folder.